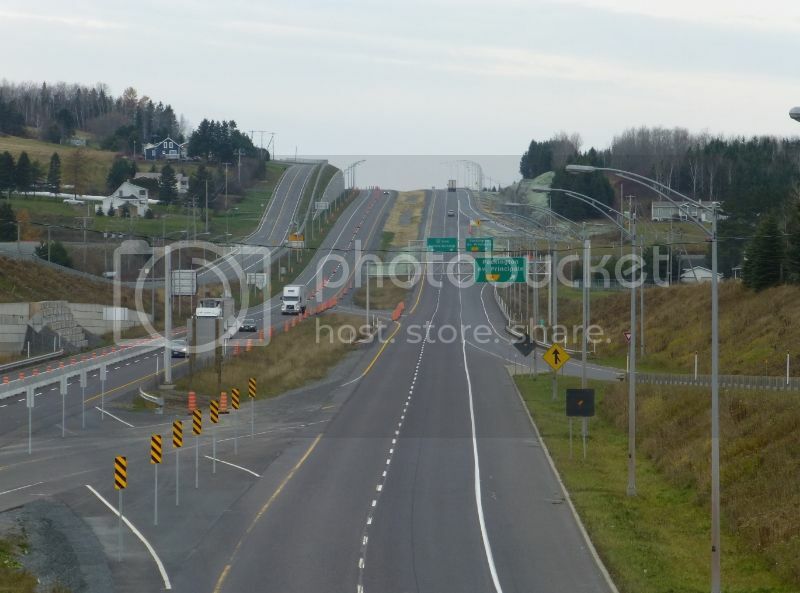 What’s the status of the twinning on A-85/TCH between Riviere-du-loup and the QC/ NB border? 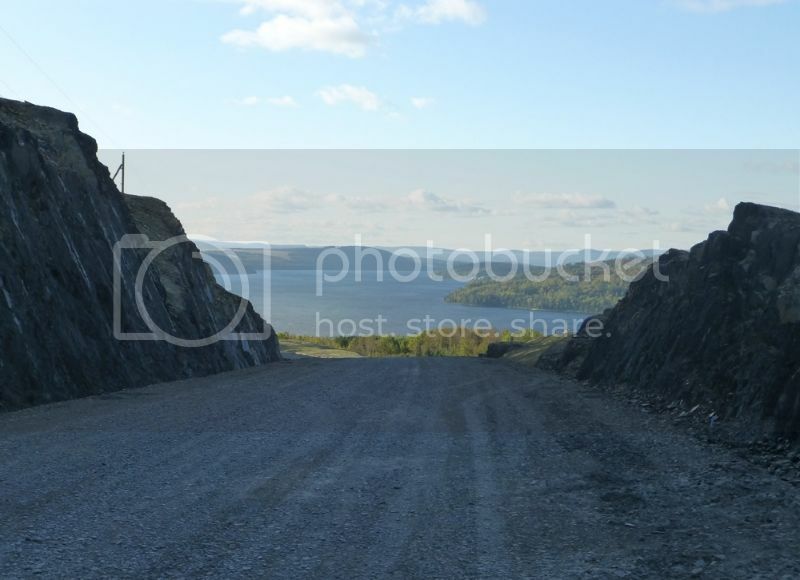 The last time I was through it was finished in the Cabano and Notre-Dame-du-Lac areas and also the section up over the hill between Notre-Dame-du-Lac and Degelis was under construction. Has the Irving Big Stop at Saint-Antonin been by-passed yet? It’s a favorite stopping place on the drive from Ottawa to Nova Scotia (which will hopefully be around 45 min shorter now with the opening of A-30!) 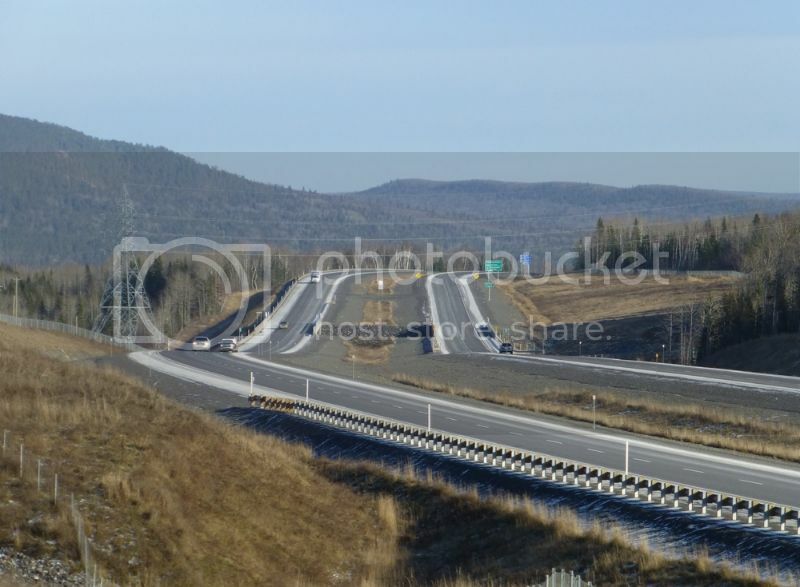 I also see that New Brunswick has 10 million in next year’s budget to complete the remaining couple of clicks of TCH2 at the NB/QC border. .........Then it’s a continuous run of nearly 700km of twinned TCH to Sutherlands River NS. According to Google, the freeway portions need to be upgraded to a freeway and the two lane portions are done! UPDATE : two new sections were open last october. Current length (as of oct. 2013) : 40 kilometres (40% completed). 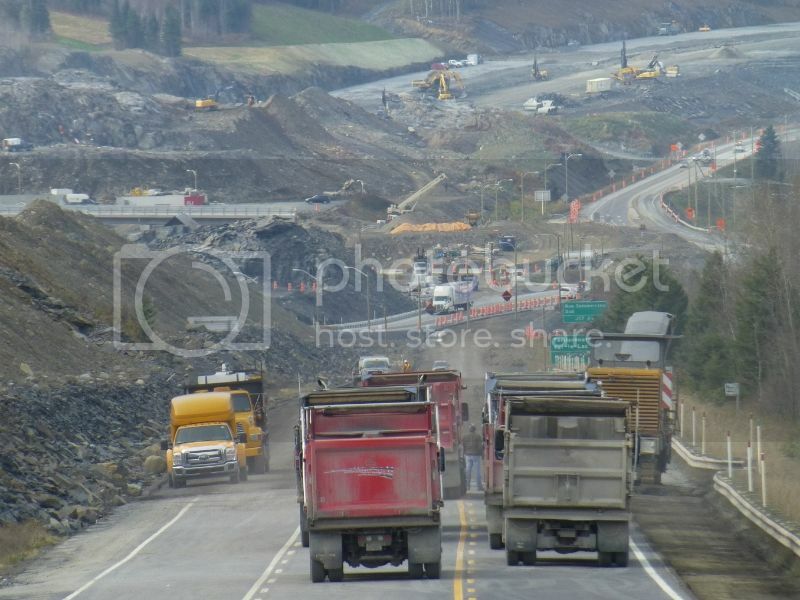 Great update on the latest progress on A-85. Are the new segments identified as part of A-85 already signed as such, or are still signed as QC 185? Some of the online mapping services show the new freeway segments, but label them as QC 185 rather than A-85. My quick look for GMSV imagery suggests Google's camera car hasn't yet traveled the new freeway segments, so no help there, and MTQ's photos aren't clear enough to show route signage. If I get up to Quebec this summer, I might add the A-85/QC 185 corridor to my itinerary. Are the new segments identified as part of A-85 already signed as such, or are still signed as QC 185? As far as I know, A-85 designation is only applied to the stretch covering kilometres 87 to 100. The rest bears 185. That is based on my observations : last time I went there was summer 2009 too, the pictures dating from 2013 shows a 185 shield and a 90 km/h speed limit (R-175 is the only provincial route to get a speed limit of 100), and the official MTQ roadmap and inventory map show a 185 designation up to Saint-Antonin too. I can't find any evidence it has--I have found SEAO tender advertisements for pretty much all of the other sections listed but not this one. I know the 2003-2012 liberal government announced 2.5 B$ of autoroute extensions late in their mandate, but never signed the cheque. The péquiste government found out as soon as they entered power, so they suspended (or sometimes cancelled) not only the ongoing A-85 planification, but most of the major road projects [in french] : A-440 phase I in Montréal, A-720 eastern "extension", A-19 in Laval, A-70 in Saguenay, A-20 to Rimouski, A-35, A-410, etc. New left-turn lane and improved lighting at Grand Arrêt Irving (Irving Big Stop truck stop) in Saint-Antonin. In other words, Transport minister Robert Poëti is trying to say "don't expect an autoroute there in the near future" with that press release. That will not prevent me from sleeping, as the sections that were said to be the most dangerous were converted to freeway or are bound to be as such in the next year. Once completed, A-85 will be named after Claude Béchard, ex-Member of the Québec National Assembly for the region, who died of cancer at 41 in 2010. It looks like A-85 from the New Brunswick border to Dégelis is all done, as is the link from Cabano to Saint-Louis-du-Ha!-Ha!. Radio-Canada reported on it, and OpenStreetMap has been updated to reflect it. Probably, it's MTQ's current standard. I wonder if the new stretches of freeway are signed as A-85 now. Up until recently, only the short northernmost stretch near A-20 was signed A-85 with the rest still signed as R-185. Slowly but surely, A-85 is starting to grow! So far, the part that splits off from A-20 and the piece going towards the NB border are signed as such, and I'm pretty sure the rest will be done by the end of the decade, if not sooner. I think we need a field check on this one. 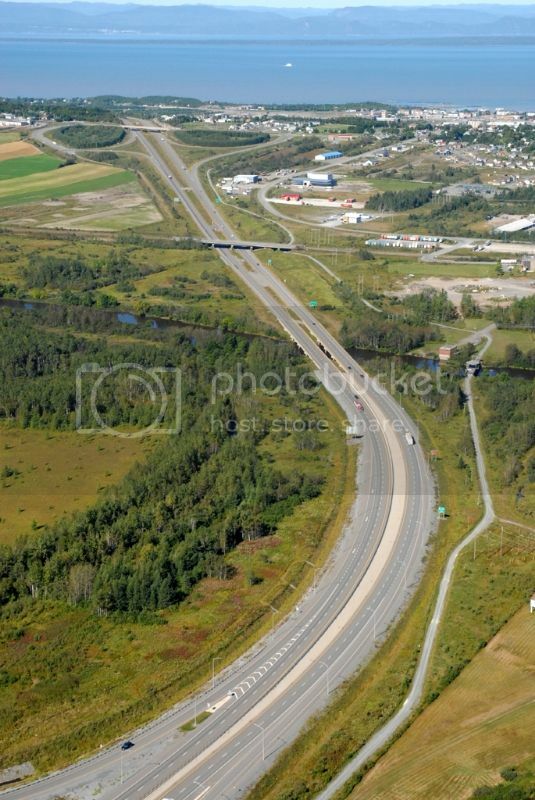 One of the segments referenced, New Brunswick border to Dégelis, was built under MTQ contract 6501-12-0902. It is my understanding that MTQ adopted Clearview in 2009, and the "12" in the contract number means 2012, but even so the drawings show Series E Modified. There are two new segments signed as A-85, one between Degelis and the QC/NB border, the other near the funny-name town of St.-Louis-du-Ha! Ha! QC 185 between the two new segments is still signed as such, but work is underway to twin that part of QC 185. I saw a sign with a projected completion date, but don't remember what it was. I plan to go back down there tomorrow morning (this afternoon's drive up from Edmundston had thoroughly miserable weather) to do a more complete check. I didn't notice Clearview signage, but might double-check that tomorrow. I'm really, really not a font freak, so this isn't something I care about. This observation shouldn't be too taxing to make--the A-85 plans I have in hand all show Series E Modified if they are pattern-accurate, so I would expect the signs to be all one or the other. The observation about A-85 being signed on the length running between Dégelis and New Brunswick matches the construction plans for 6501-12-0902, which do show A-85 shields on guide signs. 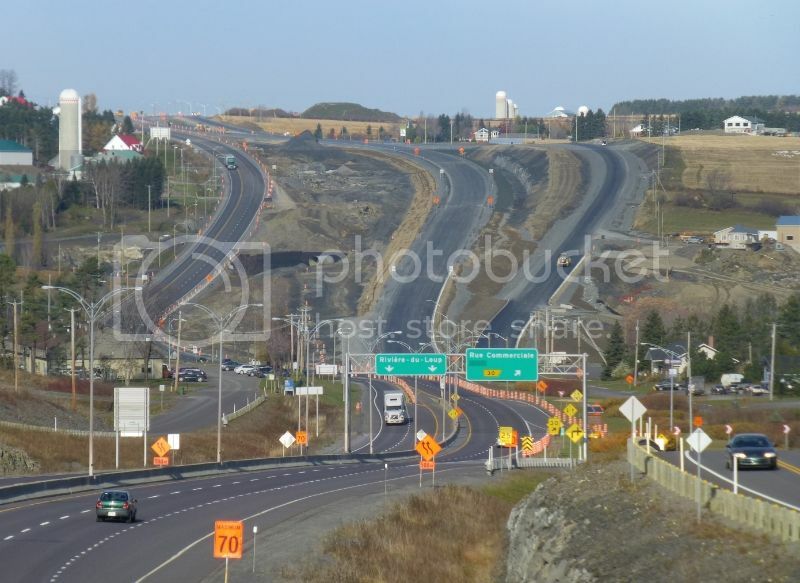 In other A-85 news, the autoroute is now officially named Claude-Béchard (link, in French only for now as the MTQ site is still being rebuilt). Name signs have probably been erected in the field now, or will be shortly. The press release mentions that the autoroute is 101 km long, which is obviously not the case yet. but even so the drawings show Series E Modified. Don't you need a Constructo subscription to access them? Well that explains a lot. I've been trying to access the sign catalogue for a few weeks now unsuccessfully. You need a paying subscription of some kind to download them free of DRM restrictions, but if you have a basic SEAO account (which is free) and a FileOpen plugin (also free) in your copy of Acrobat or Acrobat Reader, you can download a copy of each drawing file that can then be opened up to five times. There are new signs on A-85 with Clearview. I had a little trouble spotting the squiggly lower-case "l" that is distinctive to Clearview, but eventually found a few. 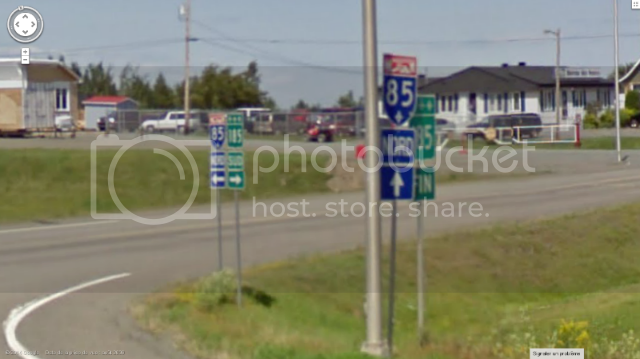 In other A-85 news, the autoroute is now officially named Claude-Béchard (link, in French only for now as the MTQ site is still being rebuilt). Name signs have probably been erected in the field now, or will be shortly. I saw some, at least on the newly-opened Degelis segment. The RSR (Répertoire de dispositifs de signalisation routière, Traffic Control Device Directory), the DDS (Diffusion des données spatiales, Spatial Data Broadcasting; a GIS app), the Atlas des transports and the bridge and structure directory are all down at the moment. They're the only sections of their website that I visited regularly. I'm really, really annoyed that they decided to put a half-baked website in service. From what I could tell, it was an unexpected failure (data loss?) that prompted the makeover. Alright. Just looked it up and that's what it seems to be. It all makes much more sense now.